Colwood has been Greater Victoria's Bloomingest Community for the past four years in a row. Help Colwood drive for five! 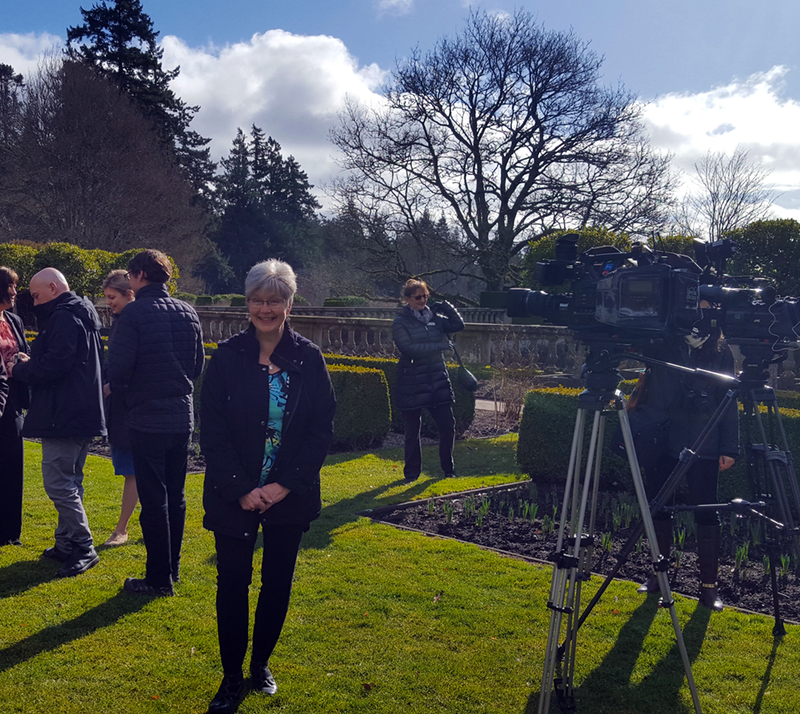 Today Mayor Carol Hamilton participated in the 2018 Victoria Flower Count kick off event at Royal Roads University in Colwood. The Victoria Flower Count is an annual lighthearted promotion sponsored and organized by The Butchart Gardens and Tourism Victoria. The goal is to boost community pride and increase awareness of Greater Victoria as an attractive destination all year round. It brings national and international attention to the fact that Greater Victoria enjoys the mildest climate in Canada. While the rest of Canada and much of the US is still in the cold clutches of winter weather, Victoria often enjoys spring temperatures of 10-15° Celsius (up to 60° Fahrenheit). In 2017, people in Colwood counted an astounding 64,410,368 blooms. Much of the counting is done by students in grades 4 and 5 who take on the Flower Count School Challenge. Use the Flower Count guide to tally your blossoms and submit the total online at FlowerCount.com. "The Flower Count is a fantastic way for students and teachers to take their learning outdoors while practicing their math skills and increasing their understanding of plants and the nature of things," said Colwood Mayor Carol Hamilton. "Our students are our secret weapon...but the Flower Count is a fun way for people of all ages to get out and enjoy our beautiful climate and natural surroundings."